I want to introduce you to Troy D. White. Troy is a practical visionary and entrepreneur. He just authored “Use LinkedIn to Get Into Your Dream College!” and launched the website linkedintocollege.com Troy is also the National Marketing and Membership Director of Future Business Leaders of America – Phi Beta Lambda (FBLA-PBL). My experience with Troy’s work is simple – it is exemplary! His new book and social enterprise are the latest Sammyriffic example of his vision, prowess, and empowerment of youth. I want to offer Troy GARGANTUAN KUDOS. The book and enterprise resonate with me. I hope they resonate with you. 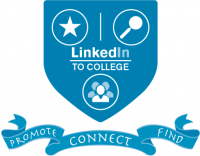 I am constantly championing, recommending, mentoring, cajoling, encouraging, and helping both high school and college students to join LinkedIn. I also believe LinkedIn is a strategic resource that can contribute to making big dreams come true, like going to college. Troy’s new resource will strengthen that advocacy. Thank you Troy! Troy just published this article to help promote the book: 5 Reasons High School Students Should Use Linked In. Here are Troy’s 5 reasons plus a bonus tip. Test your college applications BEFORE you apply. BONUS TIP: Use it now. Use it later. But you will use LinkedIn. Read Troy’s article to learn more about why he thinks each reason is important. Do you recommend high school and/or college students get on LinkedIn? Do you agree or disagree with Troy’s 5 reasons? Do you have 1, 2, 5 or more reasons of your own why high school and/or college students should join LinkedIn? What are they? Share them with us, so we can share them and empower others! 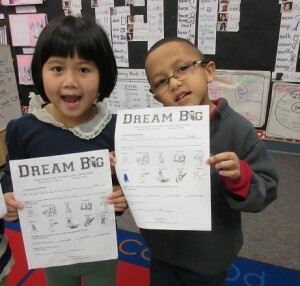 “Dream and do big, one step at a time!” It’s Sammyriffic! About the Dream Big Day Experience, Network, and Campaign! Inspire Kids Big Dreams in Your Community! SIGN UP NOW! Are these the 11 financial words all parents should teach their children? CPAs, CFPS get the need for financial literacy, but can they effectively teach it?